We’re having our first Mighty4 Day Event Committee meeting! If you love art, music, dance, and making a positive impact in the community, then join the team and be part of this years Mighty4 Day Festival. 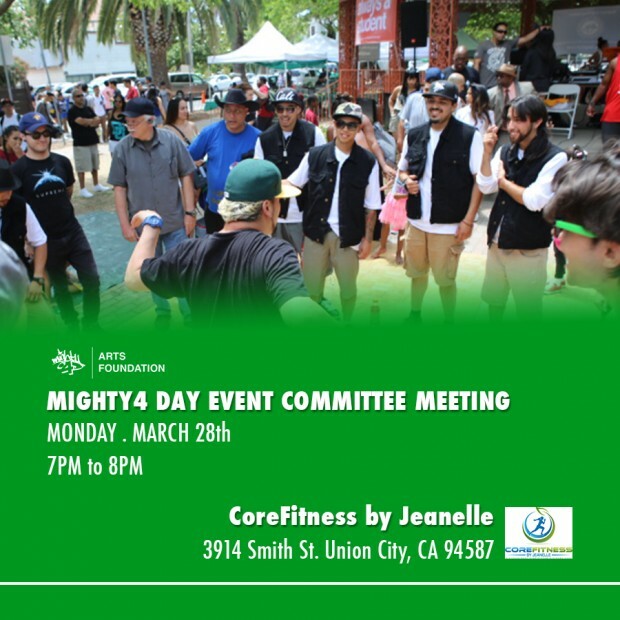 We’re having our first meeting Monday, March 28th, 7PM-8PM at CoreFitness by Jeanelle in Union City. Click the flyer to RSVP today! Can’t make it? Meetings will take place every 4th Monday of the month.